Okay, okay, I lied. So sue me. How can I NOT blog about my first day at Middlebury's intensive Hebrew immersion program? I'll give you some bullet points. But wow, it's going to be one heckuva ride. + Our building is sans air conditioning, and with the tznius dressing, this makes Chavi one miserable little pickle. I'll be doing laundry probably twice a week. Thanks for the warm, icky, and constantly rainy weather, Mama Nature! + My roommate is from Lebanon. My initial reaction was "sweet, we can make peace in the Middle East, just me and the roomie." My second reaction was "man, I don't know much about Lebanon, but I have a rock taken from a bombed out Lebanese headquarters near the border that is now under Israeli control." We're both the easy going types, so I don't foresee World War III or anything, and if anything, I anticipate a friendship will be born. She's returning to Lebanon after the course, and maybe I'll get a house invitation? + There are people here from every walk of live and from every inch of the world. We have someone from England, the aformentioned roommate from Lebanon, a gal from South Africa, someone from Gaza, and someone from Palestine. Now, my initial reaction to all of this was "Whoa! Gaza! Gnarly!" and then when I met the girl from Palestine, well, I wasn't sure how to react. I've never met anyone who says they're from Palestine. It's usually, I'm from Israel, but I'm Palestinian. I'm a Palestinian Israeli. But being from Palestine? I have to think about this. But the ages vary from just out of high school to people working for the government in their middle/late ages. There are a lot of rabbinical students (mostly of the Reform/Reconstructionist bent), and a lot of international relation students, too. And there are a few like me, rocking the academia and needing a boost. + It's beautiful here. I can't describe it, but it's just serene, quaint, quiet. And there are a million bugs everywhere and I appear to be as sweet as honey. Pass the aloe? + We're staying in a "house." Everyone (well, mostly) has a roommate and we all have common areas. I'll have to take some photos of the building. But we have a kitchen (can't use!) and a game room, as well as a big sitting area/living room that's pretty cool. It's neat having our own house, though. Outside the sign says Hebrew (in ivrit of course) and we all travel in packs like ducks. + I am one of two shomer shabbos people here. There are several others who are kosher, and there's a faculty member who is shomer, I believe. It made one of the activities last night ("draw something ...") kind of difficult. It will be a challenge, that's for sure. Probably more of a challenge for me to stay where I'm going than for those around me. Explaining my name, my story, it won't be possible after tomorrow. It's going to be a tough time here. I already miss the community in W. Hartford ... not to mention Challah. + We did Havdalah tonight in one of the teacher's "homes" here. There weren't many of us, but it was special. As a result, I'm missing the movie tonight -- I had to come home and shower, and getting dressed only to dirty another outfit just wasn't my prerogative tonight. There was so much over Shabbos I wanted to write about. Starting tomorrow my thoughts will be compiled in a handy-dandy notebook (thanks Blue's Clues) b'ivrit. The day starts with a test, some music, a pledge, and then silence throughout the house I think. Shabbos was lonely because there weren't children running around, there wasn't hours-long meals and napping was nearly impossible with the heat. This place? It's a hotbox. It was interesting, I guess. I'm perpetually exhausted from the heat, the talking. But it will get better, surely, when we take the pledge and start really learning. At any rate, I'm sure that the rest of the seven weeks will be more interesting, and I think it will be interesting to watch some of the conflicting personalities (with unique beliefs about the Middle East) attempt to express themselves b'ivrit. It will be, if anything, frustrating. But I love everyone here so far. The uniqueness and connections are amazing. So, with that, Shavua tov, and so long! On an otherwise bummed-out day, @PopJudaica has me giggling and enjoying the Jewish Zodiac. Unfortunately, I'm not the Year of the Pickle, but on the upside I'm Year of the Latke, which is pretty nifty I guess. Comedy writer Seth Front was sitting at a Chinese restaurant one Sunday night, waiting for his Moo Goo Gai Pan and reading the Chinese Zodiac placemat that served as his table setting. Being the good rabbi’s son that he is he thought to himself - - "Jews love Chinese food. Why isn't there a Jewish Zodiac?" But what would a Jewish Zodiac be? It wouldn't be 'Year Of The Dragon' or 'Year Of The Ox,' it would be 'Year Of The Bagel' and 'Year Of The Lox.' It would be deli food! And thus "The Jewish Zodiac" line was born. You can get your Jewish Zodiac T-Shirt at the one and only PopJudaica.com! On Thursday and Friday, I buckled down and baked and cooked my heart out. Tuvia and I were heading down to the Poconos for my last weekend before heading off to Middlebury, so I wanted to make Shabbos meals fit for celebration of not only Shabbos, but also my last weekend around. So what did I make? For Shabbos dinner, I made Garlic Chicken with Orzo (sans Parm cheese as a topping, of course); some Parve Kishkah; a Strawberry, Sunflower Seed, Cucumber and Lettuce salad with Balsamic Vinaigrette; and of course the Challah. For Shabbos day, I put together my first Cholent. It was a somewhat scary endeavor, especially since it seems like the ability to make a Cholent is like a ticket to Jewish success (I'm only half-joking, of course). I used this recipe as a base, but didn't make it exactly like this. There were some beans, onions, potatoes, barley and beef, and the base was the same, but as Cholent goes, it was mostly "a little of this, a little of that." We also had Challah, and I consumed some of my delicious salad. For Seudat Slishit, I brought out the Kugel I'd made (not precisely like this recipe, but close), some challah, lettuce leftovers and whatever else was laying around. I wish I had photos, but alas, Shabbos doesn't allow for photography. It was nice to spend my last pre-Shabbos cooking, doing something I won't get to do for seven weeks and probably for the next year when I head back to campus in August. Spotted an interesting piece in the New York Times about the lost Jews of Peru heading to Israel from the fringe of Peru. When I was a kid, my parents urged me to live by the Golden Rule: “Do unto others as you would have them do unto you.” They bought me a Precious Moments bible at a young age; after all, we lived just minutes from the Precious Moments Chapel in Southern Missouri and spent many holidays visiting the grounds to see the work of the artist known for cute figurines and graphics in childrens’ bibles. I even attended a wedding there once. Even now, looking back, the artwork and the artist’s inspiration are beautiful, even if his book isn’t my book. I don’t remember a single time that my parents attended church with me, unless it was a wedding of course. My childhood experiences in church were had with friends, actually. I went to vacation bible school during the summer with my friend Annie, and I remember one summer where the theme was something about Cowboys and the Wild West. I remember wearing a cowboy hat (that I had for many years after that, until I was in high school I believe), and helping make fresh ice cream in some wooden barrel, intermixed with coloring pictures of Jesus in cowboy gear. I don’t remember the message, I just remember that the ice cream was really good and the church was massive. This was in Southern Missouri, right there in the bible belt where the evangelical agenda swirls about as fierce as the tornados in Tornado Alley. Annie was incredibly religious, and everything her family did I remember was intermixed with a religious theme. She was one of my best friends, too. One of the six that I was attached to for the first 12.5 years of my life. One of my other friends, Kendall, was a Jehovah’s witness and despite their beliefs about holidays (there are none), her parents still showered her with gifts when the rest of us were getting them – all because she was a “good girl.” She left school during every celebration, too. I was always bummed that she missed out on the Valentine’s Day box contest. I won one year for “The Love Boat.” It was a classic three-tier box with a hatch that opened for cards to be undelicately shoved inside. Oy, that was a proud moment. But I digress! They say there is a friend turnover every seven years, and when I turned 14, I stopped talking to most of my Missouri friends. I hope they all are finding what they’re looking for. When I was 13, we moved to Nebraska, and I also happened to fall into a religious group of friends. In Middle School I ran around with a crowd that belonged to a large church downtown that frequently had lock-ins and activities for the younger kids. One fall I managed to stay up 72 hours straight: one day was a dance, the next a lock-in, the next a sleepover. Those were the days. But I don’t remember doing anything religiously motivated at that lock-in. I just remember a friend chugging a bottle of Mountain Dew and subsequently hurling all over the rec room. In high school, my group of friends came from a variety of backgrounds: Protestant, Lutheran, Catholic. 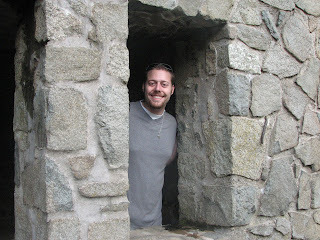 I learned early that a friend’s parents weren’t really accepted by the Catholic Church for one reason or another. I spent holiday services at different churches, and at one point I remember taking communion because everyone else was and I still don’t even know what it was that I did, but I remember knowing that it was wrong. One Ash Wednesday I went with friends and got ashes placed on my forehead and I remember thinking how weird and uncomfortable I felt. But it was pervasive around me – everyone was Christian, everyone was religious. Everyone with ashen marks upon their foreheads. It was how I rolled. I was the secretary of Fellowship of Christian Athletes and went on several “Weekend of Champions” adventures in Nebraska, including a trip in which I was “saved.” I was in Campus Life, where Jesus was presented through large assemblies on Club Day and it was more about having fun than getting or experiencing Christianity. I wanted so badly to fit in and feel the way my friends felt. That unbending faith that you didn’t have to worry about a thing because Jesus died for you. It was easy peasy. Just believe, and you’re saved. That’s all it took. And even that time, when I was saved, it was a lie. I didn’t believe it. I wanted to believe it. My entire life I’d wanted to believe it. But I couldn’t. The last straw of my social Christianity, my trying to fit into the mold that was pervasive around me, was in college. I attended services with my friends, and I really liked them. The singing was powerful and intense, and the pastor was so hip and friendly. I remember during emotional services he’d call students down to pray at the front of the shul, if they were suffering. I stood there, wanting to go down, wanting to try, that one last time, to make it work. But I didn’t. And then the pastor confronted me at a dinner and handed me a copy of a book that is known for turning people toward Jesus. I put that book on my bookshelf and never looked back. These, my biggest problems in high school resulted in a deep depression. I tried hard to fit, but I didn’t. Anywhere. I was the Christian Girl in Academic Decathalon and Quizbowl, Math Club, but also Choir and sometimes Volleyball, Model UN, honors society. I went a variety of avenues. I attempted to perfect who I was. But it always came back to the search. The Big Search. I was helpless, hopeless, lost. 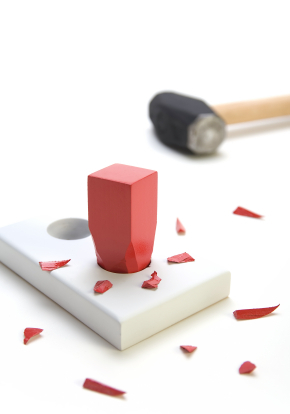 I kept pushing the square peg in the round hole. I’d done it my entire life. It hadn’t worked, but it was an effort. It was something. And then? Judaism. Out of the blue, the word was whispered to me in a conversation about beliefs and religion my freshman year. My knowledge of Judaism was the Holocaust, a topic covered by my 8th grade teacher Mr. Smith. I met a Holocaust survivor, I watched the movies, we talked about the catastrophe. But the Jews were a distant people and I didn’t know a single one. Eighth grade came and went and the Jews were never affiliated with anything more than the Holocaust. In high school, my junior year, we did Fiddler on the Roof – never a more distant musical topic for a group of Midwestern Christian kids. But we didn’t talk about Judaism, or why we were singing certain songs, or why the chuppah was important or why Shabbos was so special. I played Mottel’s mother, and that was that. He was 6-foot something and I was 5-foot something. It was implausible, and the musical was more about getting a chance to step out in my musical prowess than about the characters, the history, the story, of the Jews. How funny to think that me, the little girl who delighted in ice cream at VBS in Joplin, Missouri, and the Precious Moments Chapel’s Christian Bible depictions, who tried her entire life to be a devout and serious Christian, would be at the doorsteps of Orthodoxy, stepping over a threshold of thousands of years of memory and tradition. Even in the six years that I have pursued Judaism, I still vividly remember all of my experiences living the way I thought I was meant to live. I remember taking my little brother and older brother to a Christmas service at my friend’s church – urging my parents to come with, but them denying attendance. I felt so proud then, bringing my little brother to something he’d never known about or understood (he didn’t grow up with the pressures that my brother and I did with friends and school). But here I am. Still giggling about Jesus in cowboy boots, wondering if I grew up with Jews and just didn’t know it. Smiling, knowing that my children will be brought up with not only the golden rule, but a tradition deeply embedded in my soul. My children will have the right and will be encouraged to embrace what is truly true for them as my parents allowed for me. But at the same time, I hope that I can raise my children in a way that they will respect, connect, and cherish who they are as Jews, carrying on a tradition that their mother’s neshama traveled so long and so hard to give them. This weekend marks my last Shabbos in Connecticut until mid-August. In two weeks, I'll be in a car heading to Vermont for the Middlebury Hebrew Immersion program, and I don't think the reality of it has fully set in yet. 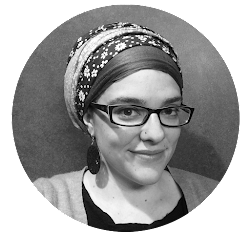 I've been loading my computer full of Hebrew tunes, buying summer-friendly skirts, books to work on the b'rachot, and have been working my tuches off to get unemployment so I can pay for my Hebrew books at the program. Seven weeks away from my community here in Connecticut, however, will be bittersweet. Sure, I'll be away learning and growing confidently in my Hebrew usage. At the same time, however, I'll be missing my weekly classes with the rabbi, Shabbos meals with community members, vital moments in my growth within the Orthodox community. Up at school there are Kabbalat Shabbat services catered to the student body present, so it is set up a lot like Hillel in a way. There are no morning services, unfortunately, and there might be a Tisha B'av service. I foresee a lot of Saturdays being slept in, and a lot of very long Shabbats spent reading books and attempting to pass the time with ease. It won't compare, in any way, to what I have here. It's got me a bit bummed out. I'm also trying to figure out what to do about this blog, my Twitter account, and my other social networking obligations during my weeks in Middlebury. In truth, my entire seven weeks are to be in Hebrew and only Hebrew, with the exception of religious services (funny that I'll be speaking Hebrew anyway, hah). I can blog and such in Hebrew, or I can risk it and do it in English. I can do it half and half, or I can write in Hebrew and send it to someone to translate and have Tuvia post it to the blog. Or, of course, I can just do nothing for seven weeks and see what happens. Oh decisions decisions. There are many things I want to do before I go -- figure out which PhD programs I want to apply to, edit my Golden Calf paper again, etc. I have had more than a month now to do things, but the time I've had free has flown, and I'm entirely unsure where it's gone. I have a dozen books I want to plow through to work on my conversion, and I want to get a date pegged for my actual conversion. I've been watching conversion chaos, racism, hatred toward the Jewish people (U.S. Holocaust Museum shooting incident), doubt about RCA vs. independent conversions ... there's a lot floating out there. I've been avoiding writing about a lot of these things because I just can't let myself get wrapped up in the negativity and despair therein. At any rate. 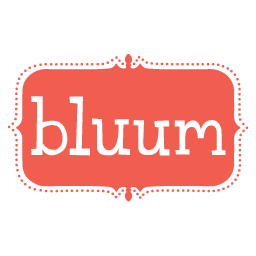 Let me know what you all think I should handle myself while away for seven weeks -- to blog, or not to blog! Any legitimacy or kosherness to this? Found on Jewish Virtual Library. "Since it was felt that the full Grace after meals was a bit too long, many prayer books have a shortened form alongside the full text, One of them is quoted in O.H. 192 in B.H. 1, and it contains all the essential elements required by the Talmud. The shortened Grace may be used when brevity is desired. The United Synagogue has adopted one, with additions in English, for general use in Conservative synagogues. B'rich rahamana malka d'alma mareih d'hahy pita." 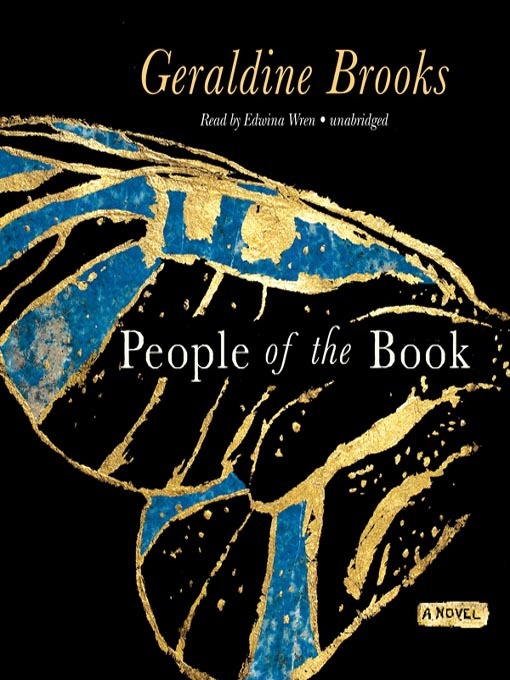 I just finished (last night since I couldn't fall asleep) reading "People of the Book" by Geraldine Brooks, and I have to say it's a pretty outstanding work of historical fiction. The first half of the book is truly captivating, and I found it hard to put down while I was reading it. The second half of the book seemed a little contrived at points, especially toward the very end when it turned into a cheesy "who dun it" kind of storyline. I am guessing that Brooks probably had a lot of really lengthy, detailed chapters to begin with and was forced to edit them down -- that is the only explanation for how quickly the end of the book moved and how short and brief the final narratives were. I do have to say, however, that of all the historical fiction I've read since Anita Diamant's brilliant and one-of-a-kind book "The Red Tent," Brooks' "People of the Book" is the best. It far surpasses the Rashi's Daughters books which were, to be completely honest, disappointing, and many other books of a similar flare. I highly recommend the book, which takes a embellished look at the Sarajevo Haggadah -- how it was created, where, by whom, how it traveled from point A to B to C, how it survived many horrible historic events, and perhaps most interestingly, it details the secret lives of historic, important books. The imagined lives of the characters in Brooks' book are so life-like, so real, and I found myself automatically felt compassion and a connection to these historic Christian, Muslim, and Jewish figures. So go get the book if you haven't. If you have read it? Let me know what you think. Right now on my docket I have "The Book of Names," a mystery novel I believe; John Updike's newest "My Father's Tears and Other Stories;" as well as "The Bible Code" by Michael Drosnin. Not sure which I'll start on first ... but amen for finally having a public library card! Bonus points if you get why I chose this image! I've seen the bumper sticker more and more lately, and it simply says: "JOHN 3:16." After all, that's really all you need to know. The verse, the tour de force of Christian theology, says "For G-d so loved the world that he gave his one and only son, that whoever believes in him shall not perish but have eternal life." I'm not here to argue truth, fact or fiction. No, I'm here to discuss something incredibly interesting. I was walking through the library yesterday when I saw a book, simply titled "3:16" when it hit me -- 3:16 is the reverse of 613, the number of mitzvoth in Torah. The crux of one flipped on its head to be the crux of another. One, with its 3:16 showing that it was Jesus dying that nullified the need for the 613 mitzvoth to be followed. So, automatically, I asked myself: Which came first? The Gospel of John? Or the identified tradition of 613 mitzvoth? The Torah, of course, was written long before the Christian canon. But the issue is more complicated than just that. The identification of 613 mitzvoth comes from the wisdom of a few rabbis. The Talmud notes that the Hebrew gematria (numerical value) for the word Torah is 611. If you combine Moses' 611 commandments to the two received directly from G-d at Sinai, we get 613! This number -- 613 -- is attributed in the Talmud to Rabbi Simlai (early 3rd century CE), but other classical sages held this view, too, including Rabbi Simeon ben Azzai (early 2nd century CE) and Rabbi Eleizer ben Jose (2nd century CE). So we can confidently say that in the early 100s, if not earlier, this idea was evident among the rabbis. There were 613 mitzvoth, and these mitzvoth -- 365 negative, 248 positive -- are the "rules" we as Jews are to live by. The Gospel of John is a more difficult text to really wrangle. There is already a boatload of suspicion of who he was, where he was writing, whether he even knew Jesus, and most importantly, WHEN he was writing. From what I can conclude from a quick bit of research online, the "general" consensus is that the Gospel of John was written around 100 CE. So here we have a text and an idea -- John 3:16 and 613 mitzvoth -- both from the early 2nd century. Whether the rabbis had exposure to the Christian text is something that I don't think we can really know, and there are some scholars who argue that the rabbis recording the Oral Torah were completely isolated from the greater world around them (I think this is kind of, well, ridiculous). But what we do have here is an interesting polemic coming from John, whose language was intentionally antagonistic against Jewish traditions and customs. Thus, where better to write the championing verse for Christianity but in the reverse of the numerical tour de force of Judaism? I don't know if this is something that anyone's written on this, but I think it's really fascinating and most definitely something worth considering. Maybe I'll spend more time on this during the school year, but I think it would be worth taking a more developed and in-depth look at the most agreed-upon dates of the texts and whether there is any literary evidence to maybe connect the two numbers. I'm not big into gematria, but I think it's quite fascinating. Even if you're not into gematria, that there are 613 mitzvoth is something all frum Jews cling to and all Jews regardless of creed identify with. At any rate, I hope you all find this as fascinating as I do.